I sometimes work on several studies in the same area. While I watched the Tody Flycatchers work on their nest, two species of lizards prowled over under and through the debris at ground level! To protect my work, two blank pages close like a window. A plastic piece layers over the middle. Most remains covered while I work on precise areas. While I focused on bamboo growing several feet from where I was sitting, this lizard sneaked in and out of view. This blue-tailed beauty will be a joy to place in a future study! Perhaps the entire drawing will be pencil, and the tail in watercolor? “Mr. Chunky” later sneaked into that hole in the bamboo! Now I know its hiding place! Because of a temporary loss of vision years ago, I now treasure the gift of all of my senses! To hear the subtle rustle of the lizards or feel the increase of the wind or inhale that amazing aroma of citrus in bloom – ah, I count my blessings daily! Without the aid of a camera, I would have to climb that massive tree and creep out on its limb to better inspect the flycatcher’s nest! Even with a camera it’s difficult to decipher what materials those petite birds use for their nest. Working at night inside, and by day when weather permits, I watched the painting grow as often as the nest did! One afternoon while totally focused on painting details, I realized that the weather had changed. The winds were quite strong and getting stronger. Uh-oh; did I have a five-minute warning – or more — or less? I reached a stopping point, watched the wind toss the little birds’ creation, then gathered my items and hurried home! That night, using reference material of dried bamboo, dried leaves and grasses for reference, I worked the entire night! Many layers of watercolor went into the nest, then strips of color were lifted to reveal the grass-like details. Whew! I slept many hours that day – and another 11 that night! Between San Vicente and Canoa – I still marvel how this particular area shifted – yet many trees remained in place. You might remember previous posts about my friend Chris Cardman. You have two beautiful eyes, Lisa. They serve you/the world well. Thank you for such a comforting comment! Happy weekend, my friend! I always feel refreshed when I come to your place. Happy New Year! Thank you for the great conversations of 2018. I look forward to the adventures ahead in 2019. Hugs! And the same to you, as well! I hope that so far – this has been a good year for you. Hard to believe we’re past the March equinox and heading for the solstice! Wonderful photos, as always. And wow! Your show was extended! I need to remember to take more time to appreciate my senses. We so take them for granted. I have a blind friend. I take him shopping now and again. He lives down 38 steps on a steep hillside! He amazes me. Thank you, Emily, for this comment; that is so sweet of you to help your blind friend, who surely appreciates your kind heart. It”s often the ones who have less – or who have greater challenges – who inspire us the most. si, and again it’s raining (late night) very hard – and has been for several hours. What a perfect way to walk into a new year, with beautiful new things awakening all around! blessed are we who spend a large amount of time immersed in nature! thanks! Your comment made me chuckle. No fighting, yet we also realize that when it comes to basic needs like food and water, the peaceful world can turn ugly fast. May we never witness that scenario. Presently it’s raining very hard – at 12:21 in the morning. I’d best get some sleep but am enjoying being at a little hostal to catch up on internet… goodnight for me, good morning for you! You help make our world an even more beautiful place! Thank you. Thank you Hugh; and you help us to stay grounded – and to see through the smoke and mirrors – and think for ourselves! How lovely that the show will go on for a little longer. I love the way you and the Tody Flycatchers are each creating wonderful artwork. There are 2 sunbirds busily creating a similar nest at my sister’s house in Australia. She loves to watch them and sends me regular updates. The gift of sight is precious. I am glad your friend is receiving help. Another precious gift, which you have, is insight. For a painter/artist, I think sight and insight go hand in hand. Isn’t it funny how certain species build similar nests – without being influenced by the other? Original thinkers, the birds? Or are they tapping into a higher realm of knowledge?!! Straight-down rain here as I type. It’s been a long rainy season with no sign of it stopping! Your work only gets better and more beautiful with every portrait of nature that you create. I’m so glad you are here and that you share so much of yourself with the world. Dear wonderful |Lynda! Thank you for the positive feedback, and |I hope that by now you’ve used that doorknob for a very special effect! It’s amazing how a random image can spark new ideas! You are a true artist and original thinker! It is so great looking at your exotic world through your eyes. And I await the pencil drawing of the blue watercolored tail. That blue-tailed lizard is still in the incubation folder. I look forward to painting it! Hope you’re doing well…. I just peeked at your site and see there’s an ‘on ice’ post that slipped past me…. shame shame on me, but I’m going there now! I so enjoyed reading about your process and experience of painting the flycatchers. Your art continues to delight me! Thank you Anne! When so many birds seem to take turns on entertaining me, it’s a joy to attempt to capture them on paper. Thank you! And right there, in the midst of your photos, is the plant I’ve been trying to identify for months: the mock orange. 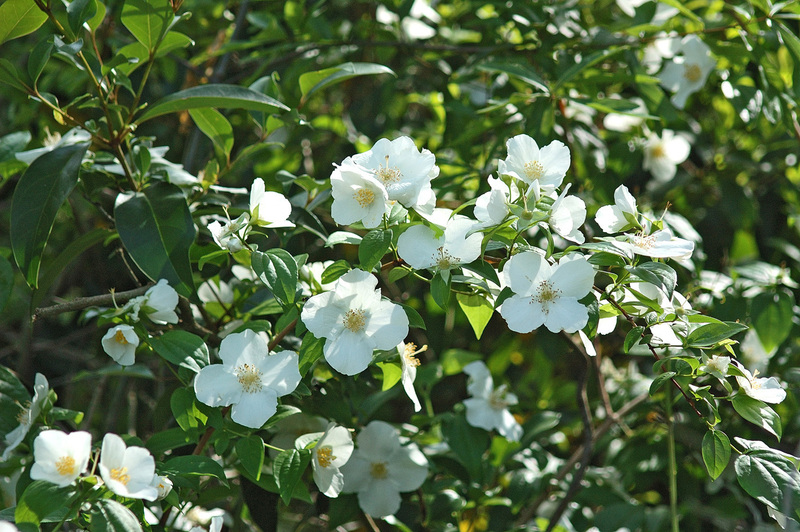 Strangely, when I enter mock orange into a search engine, I get every sort of plant, but not that precise one. I found mine on the grounds of a local Buddhist temple (yes, in Santa Fe, Texas), and it had the most luscious fragrance. Now, I at least have a starting point for finding the scientific name — unless you by chance know it. You didn’t say — did the little birds’ nest survive the wind? Probably so, as they know how to build. Your painting of their home is gorgeous: as painstakingly detailed as their work.
. in later years i planted mock oranges and was sorely disappointed when they bloomed – yet did not have a fragrance. stick to the old fashioned ones! do you know the amazing fragrance of the sweet olive? ah, so ‘southern front porch’ for fragrance! as for the flycatchers, yes, their nest survived, and they incubated the eggs, began to bring food to the nest – and then a very strong night of rain put the nest in the lake. i hope that the little ones were strong enough to survive/fly to safety. most likely the nest landed in water hyacinths, so there’s hope – but will never know. Speaking of fragrant flowers, I just asked Linda if she knew the aroma of what we called ‘Sweet Olive’ in southern Mississippi. Very inconspicuous flowers, but oh, the evening aroma was powerful! Thank you for your thumbs up on the watercolor studies. Having good reference photos helps – yet I still yearn to have an actual bird ‘in hand’ to better study those nuances. Seeing your art again reminds me of the reason I wanted to begin to paint – you will always be my inspiration but to hear your thoughts as you reflect on the day makes everything even more inspiring. So happy to back in your company. Your biggest fan, Hope. My dear Hope! Thank you my kind, sweet, sensitive and oh-so-talented friend! 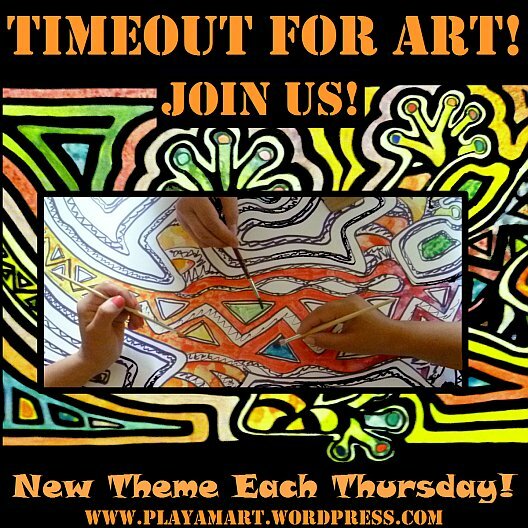 You’ve been quiet, and I hope that all is ok – and perhaps you’re painting?!!! I miss you and hope to see you in person next trip back! thank you, gwen! it always warms my heart to see your comments! thank you for your long-term support! say hi to edmundo for me! What can I say Lisa, I am always awe inspired at your beautiful art and your wonderful images. Our eye sight is so precious and I can see why you treasure yours especially if you have had previous concerns with your vision..
Only in Jan My optician told me I had the starts of a Cataract on one eye, though not a problem as yet it brings home just how precious our eyes are..
Sending LOVE and well wishes.. and gradually I am catching up again.. I too have been away from WP again.. Knitting and painting, pulling me more than blogging at the moment. thank you for your positive feedback about my art! You are very welcome Lisa, and I have started to take a supplement my daughter recommended it is Sea Buckthorn Oil Capsules, rich in Omega 3-6-7 and 9. and its rich in antioxidants: Tocopherols and tocotrienols.. and help eye health. I do take a very good Multi vit with high dose of Vit C.. Especially during in the winter months..
Sending much love your way Lisa and hope to catch up with you over the weekend..